Whether you’re happily married, happily divorced, or something in between, you have no real use for a wedding dress after the wedding. But what are you supposed to do with it? Here’s a flow chart. Listen to the flow chart. 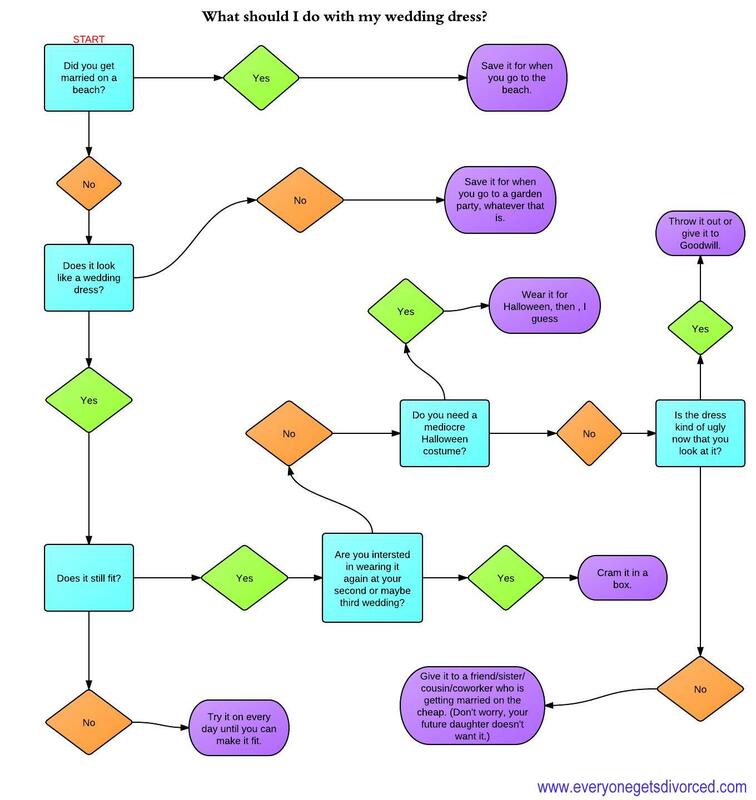 Because if you have a question that a flow chart can’t answer, we don’t want to hear it. I’m going to force my daughter to wear sweatpants.